Freelancing looks idyllic from the outside. Working with the best clients, choosing fun projects, determining your own hours and working from home or wherever you like. But there’s a lot that happens under the hood to keep the momentum going. Doing the actual freelance work for your clients never takes up 100 per cent of your time. Soon you’ll be swamped with paperwork and admin – writing proposals, drawing up contracts, sending invoices, writing down tasks and managing your workflow. To accommodate that, we’ve seen an abundance of new tools spring into the market to assist freelancers. You can now write proposals and send them directly to the client without ever opening up your email client. Instantly glance at your revenue for the month and compare it to last year’s. Check how much time you spent on that new project last week. To help find the best, I’ve broken down the tools into the following categories: proposals, finance, legal, time management and workflow. Let’s begin! The value of a great proposal shouldn’t be underestimated – they can be the key to winning or losing a project. I’ve tried out a number of different proposal tools and even used InDesign CC to make my own custom template. 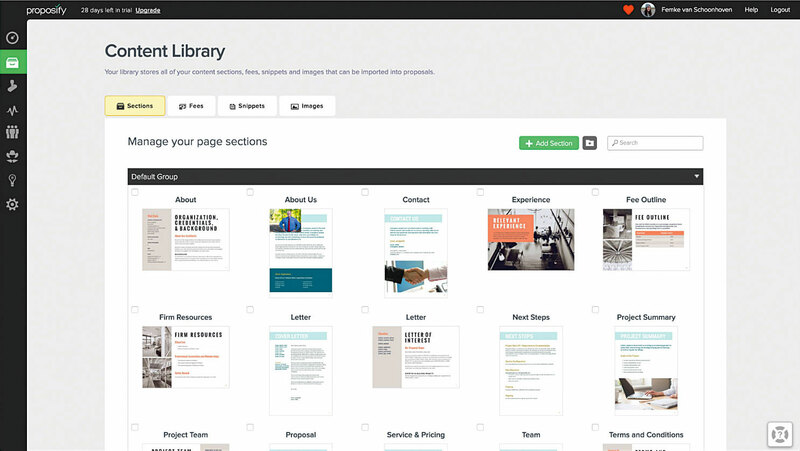 These tools aim to make things simpler by providing templates and customisation features. Many also enable the user to send the proposal smoothly to the client and track its progress – a feature that I’m a big fan of. Currently in a private beta, Prospero not only helps you create a proposal but also helps you price the project. 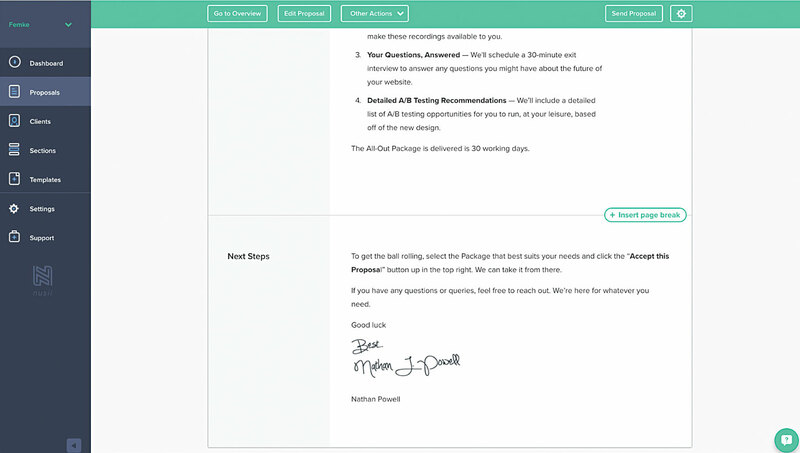 From the founders of The nuSchool, Prospero is a completely stripped-back proposal tool. There are no dashboards or even account settings; its strength lies in helping you create a proposal, rather than just letting you fly blind. It promises ‘More client, more money, less headache’. When you create a proposal, Prospero asks you some brief questions, such as your rate, the time it will take you to complete the project, and the type of work you’re doing (Prospero covers print and branding proposals as well as web and app design). It then smartly generates a proposal based on your answers, which you can edit. There’s no design customisation (only text-editing options), but the default design isn’t bad. When you’re finished with the proposal, you can download it as a PDF or send it directly to the client. Nusii’s dashboard not only lets you create proposals, it also lets you glance over your sales revenue or proposal acceptance rate. I commend this tool on using the available data in a useful way so users can keep track of how proposals are progressing. The ‘send to client’ experience is smooth, and you’re notified when a client views the proposal. The proposal-editing process in Nusii is attractive and simple. However, visual customisation is limited and you can’t insert tables – an odd decision considering freelancers often like to include a breakdown of deliverables and expenses in a table. A nice touch is that the tool supports a range of currencies and languages, so you can use it almost anywhere. A true WYSIWYG tool, Proposify comes with a range of templates. 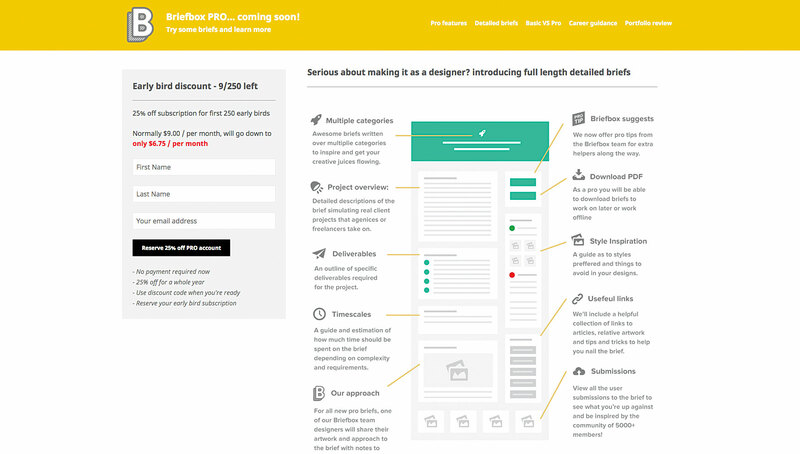 Though pretty bland, the templates give you a nice place to start if you’re new to writing proposals, and the editor includes a range of customisable features (and even some basic drawing tools). However, it is quite like a word processor – you don’t get that beautiful proposal writing experience that I personally prefer. One of the benefits of Proposify is that you can embed videos and images. It also lets you create content snippets to drop into your proposals and re-use, which is a great time-saver. Keeping track of the money coming in and out is essential to the sustainability of any business. If you’re looking to get better insights into your earnings, try one of the following finance tools. Invoiced was co-founded by a freelance web developer, and inspired by his own personal struggles. 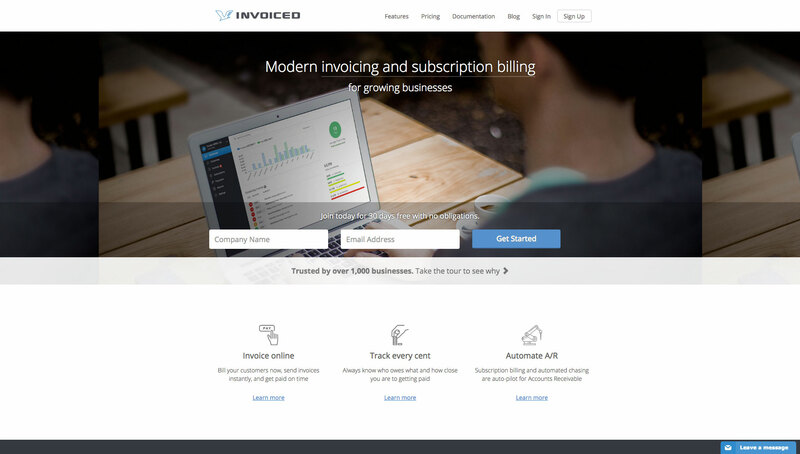 This tool makes it nice and easy to create and send invoices to your clients. The specific payment method is up to you – Invoiced integrates with Stripe so you can set up online payments via credit card, Bitcoin, PayPal, or even offline. The smarts of Invoiced are in its ability to track your collections efficiency, how long it takes on average for you to get paid, and any monthly recurring revenue (useful for clients on a retainer). 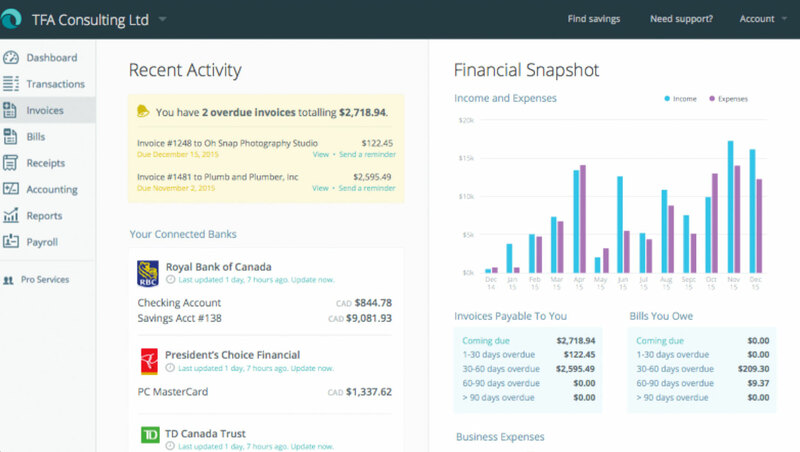 If you’re using an accounting tool to keep track of finances, Invoiced integrates with both Xero and QuickBooks. ZipBooks is a new accounting tool that is not only free, but also beautifully designed and simple to use. You can use it to create invoices, track your time, manage payments and clients, track your expenses, and more. 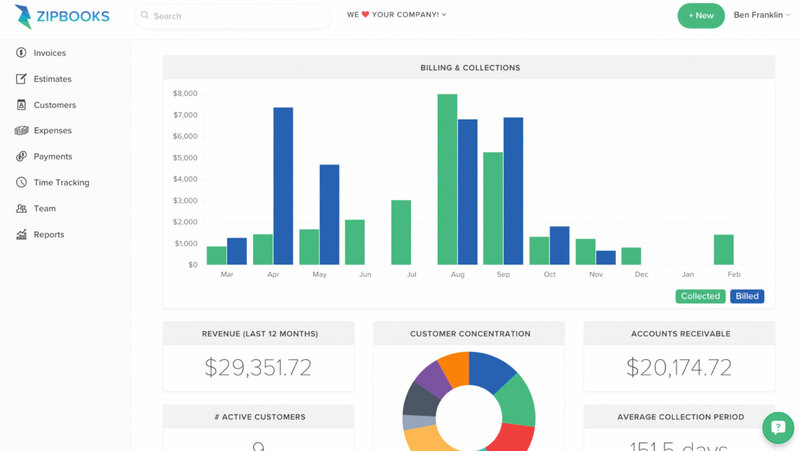 Once you’re logged in you’ll see a nice dashboard that displays your billings versus collections, revenue in the last 12 months, average collection period and more. Handily, you can set up late payment reminders for those clients that need them. 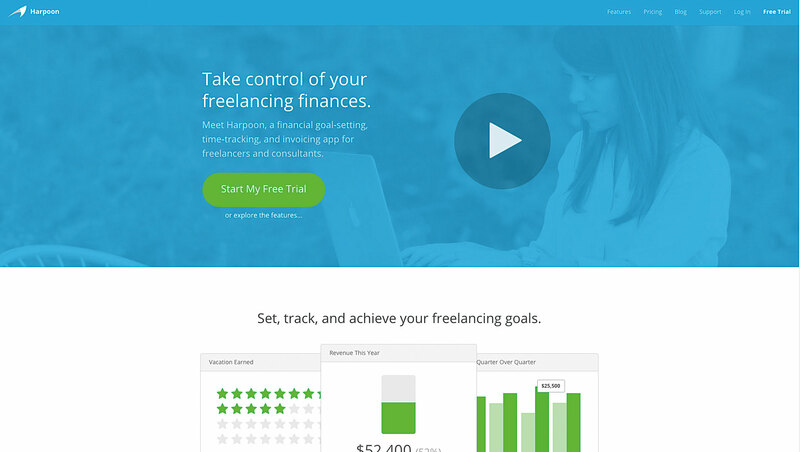 With its travel expense feature built in, Momenteo is great for freelance digital nomads. 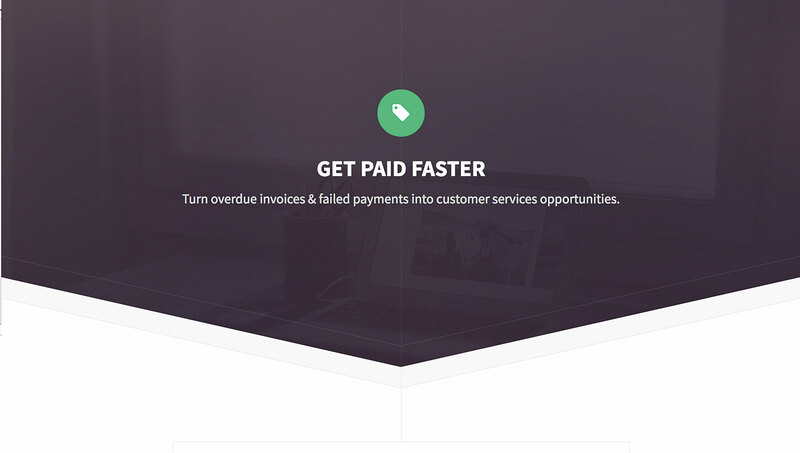 Momenteo will also turn approved estimates into invoices without any additional work. 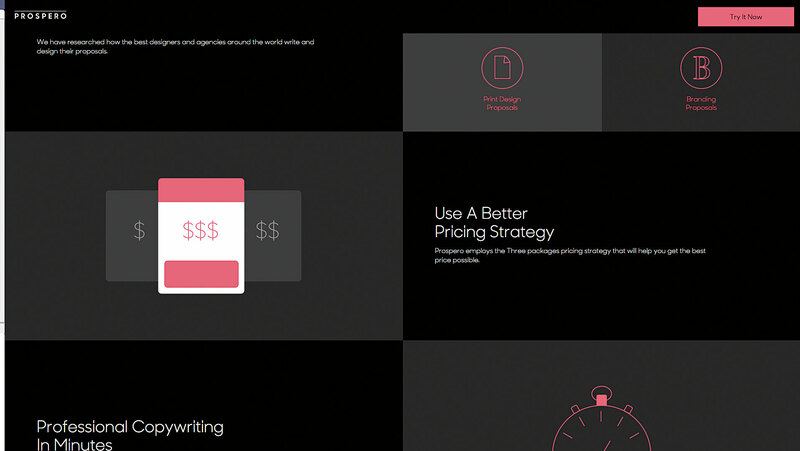 Refreshingly, unlike many other tools, Momenteo just has one pricing plan, with the option to pay monthly or annually. You’ll get access to all features and unlimited use of the tool during your subscription. 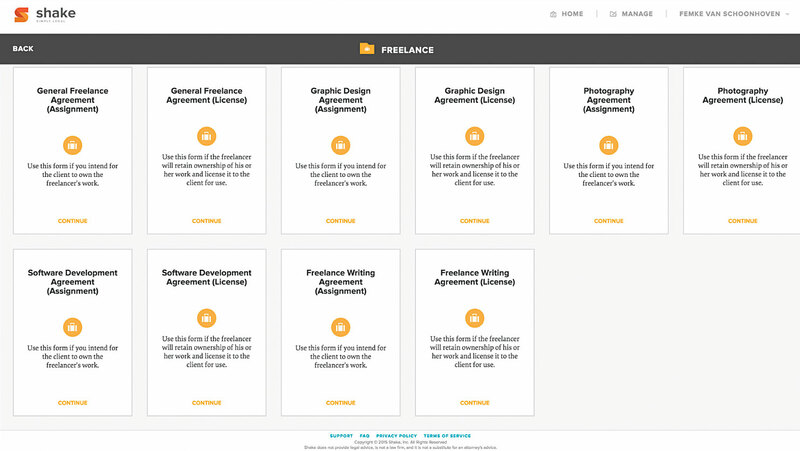 Still in beta, Bonsai gives freelancers the ability to send contracts and collect payments. When creating a contract, Bonsai will ask you what type of work you’re doing, to help it tailor the contract to your project. You’ll be asked a few questions, including your basic info, project brief, rate, when you’d like to be paid and so on. The tool will then provide an editable contract on your behalf that you can send to the client straight from the tool. Once signed, Bonsai generates an invoice for you to issue. You can also set the invoices to be recurring – handy. Not only is the functionality of Bonsai great, but the design and user experience is seamless. The tool is easy and enjoyable to use, omitting any unnecessary clutter. Wave is another popular, free option. This straightforward tool has all the bare bones you’d expect from accounting software, but without the unnecessary bells and whistles. 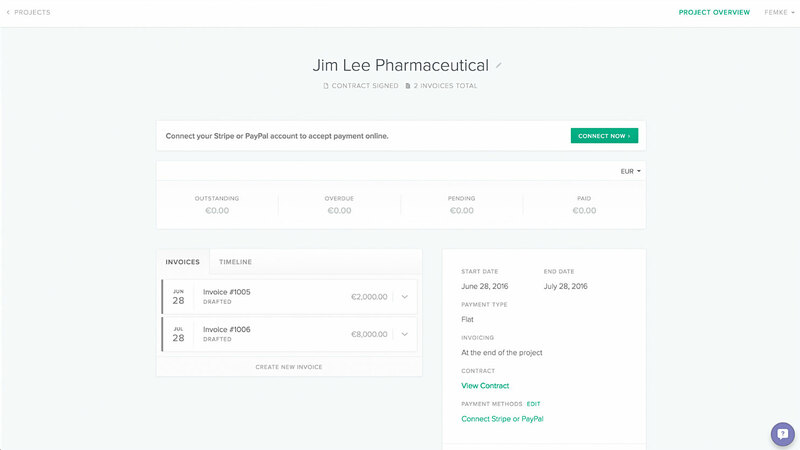 Its invoice flow moves through visual steps, making it easy to keep track of where a project is up to in the payment process. A nice touch is that you can create free, unlimited invoices on the go via the iOS app. It’s easy enough to send a receipt, set up a Stripe integration and connect your own bank account. Payroll features do exist, but are currently limited to the US and Canada only. You’re probably going to want to invite your accountant in to take care of the reporting features, like balance sheets and income statements. Not the most fun category, but definitely one of the most important. Contracts don’t have to be as scary as they sound – they’re good for you and your client. While these tools are helpful and often include templates, if you’re unsure about the laws in your country I recommend consulting a professional. A very basic contracting tool, Shake Law lets you choose from a range of contract templates. A nice addition is that you can choose a contract template for an assignment-based or licensing project. 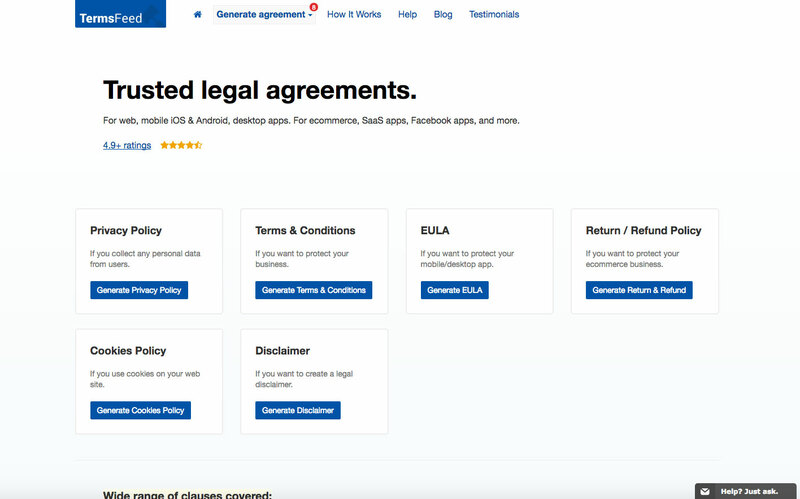 Once you’ve created your contract, you can get it reviewed by a lawyer. While this sounds generous at first, Shake Law actually redirects you to a law firm, which requires an additional fee. The features of Shake Law themselves are pretty limited. For example, you can’t send the contract to the client (only download a PDF), and there’s no way to visually edit the plain contract. As a designer, the design and consistency of all my collateral is pretty important as I consider it a reflection of my skills and professionalism. I wouldn’t feel comfortable sending my clients something so plain. It’s the one thing we all wish we had more of: time. Unfortunately we can’t make more time, but we can choose how to spend it. Covering everything from time tracking to scheduling to estimation, time management tools are useful for any freelancer, even those who don’t bill based on time (like me). Rather than tracking time, Cushion helps you schedule your time – and not just at work. You can schedule time spent on projects, as well as time off. It highlights when you’ve overbooked yourself, to help you avoid burnout and encourage you to manage your time better. Easy to set up, Cushion also lets you display a badge on your website to show when you’re available, which is helpful for those interested in working with you. 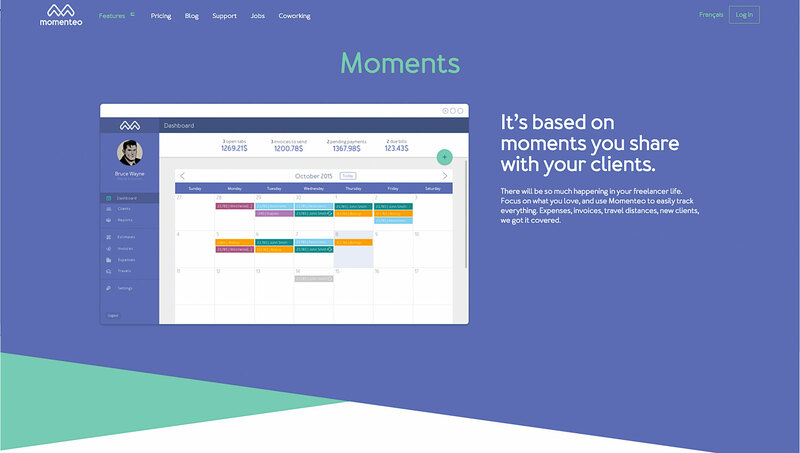 Elegantly simple time tracking software, Timely greets you with a calendar view the first time you log in. There’s no timer – rather, Timely encourages you to fill in the hours you worked on a particular project. You can view the history of a project and gain a good overview of time spent across all areas of the business. This tool lets you enter both your planned and logged hours so you can see the difference in your estimations. A nice way to teach you to estimate your time better if you’re always getting it wrong! Timely works in the cloud, or you can choose to access it from your browser. Though it may seem overwhelming at first, once you’ve spent a little time with Harpoon and oriented yourself, you’ll see it is a powerful tool. 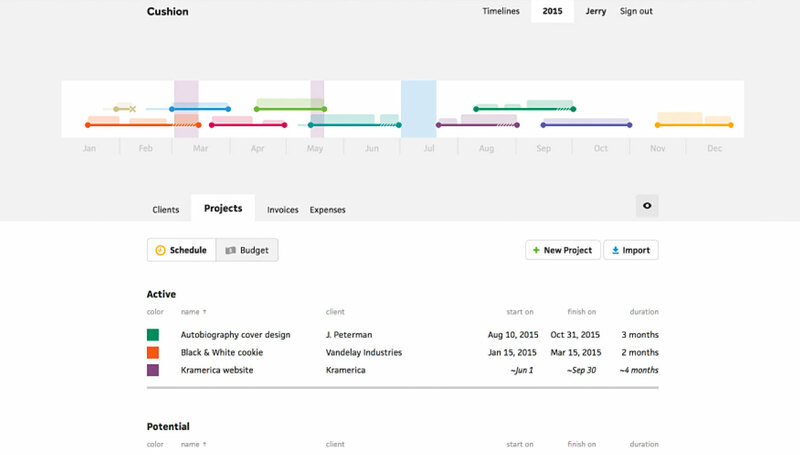 Harpoon lets you create projects, from which you can then track your time and add invoices and expenses. It prides itself on not just helping you invoice, but aiding you in your decision making and helping you plan better. You can quickly glance at your average revenue per project (or per month, day or hour, if you prefer) or check your outstanding invoices. There’s also an event revenue forecast, with spaces where you can set yourself goals and define your work habits (for example, how many hours or days per week you work). This makes it a great place to encourage you to plan ahead and keep track of your goals. Harpoon is almost like an all-in-one tool, with smart reporting and dashboard features. The only things it lacks are contracts and proposals. 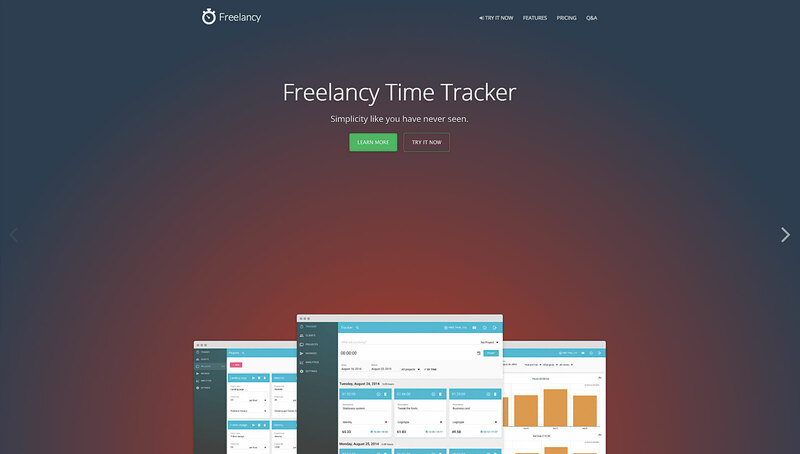 Freelancy lets you turn time tracked into invoices, quickly and easily upon project completion. I personally don’t bill this way, so it would not work for me. However, for those who do bill per hour, I can see this being useful, as it saves you from having to do the maths to work out your fee. 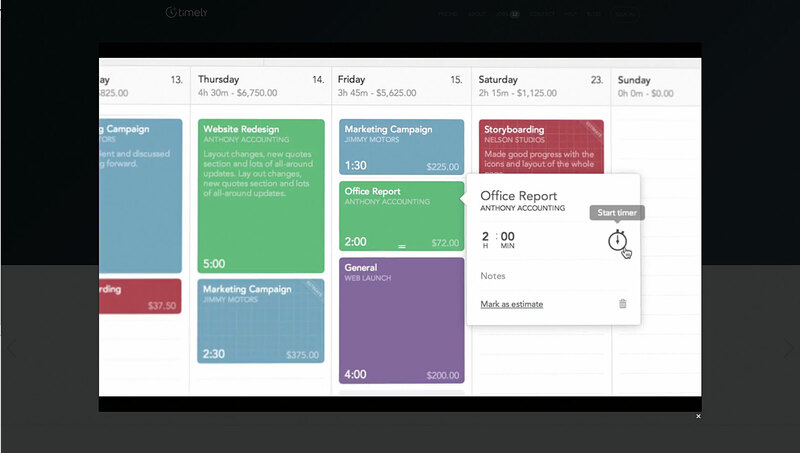 Freelancy’s reporting feature gives you a calendar overview of when you split your time. Here, you can easily see how much time you’ve spent and on which projects. You can filter by dates or by project, making it easy to see what your time was spent on and when. The reports are exportable, meaning you can download CSVs and charts for yourself or your clients. While automatically creating invoices from your time tracked is handy, you can also create invoices manually if you prefer. Perhaps you’re only tracking your time for internal reasons, or maybe it’s irrelevant to the client. I’ve been using Toggl ever since I started freelancing. While I don’t bill my clients per hour or day, tracking time informs me about how and where I spend my time. 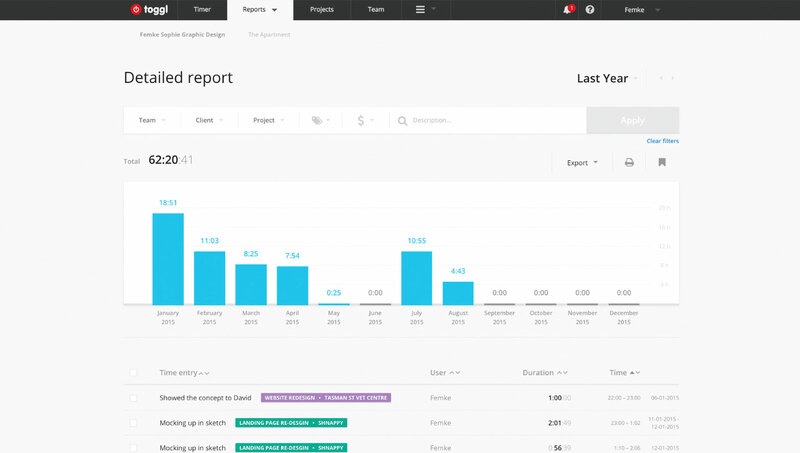 After tracking the time you’ve spent on certain projects, Toggl uses that data to generate reports. The desktop app reminds me to track my time and lets me do so without having to log in to the web app. Toggle also lets you create private and team-wide workspaces. So I can manage my personal time, but I could also invite a developer into a workspace if I wanted to track not only my time, but all the time spent on the project. Workflow tools can often take a little more effort to get your head around as they can be complex, yet powerful. I personally use my trusty paper-and-pen to-do list, but I can definitely see the benefits of having a digital workflow tool, especially when it comes to organising bigger projects. 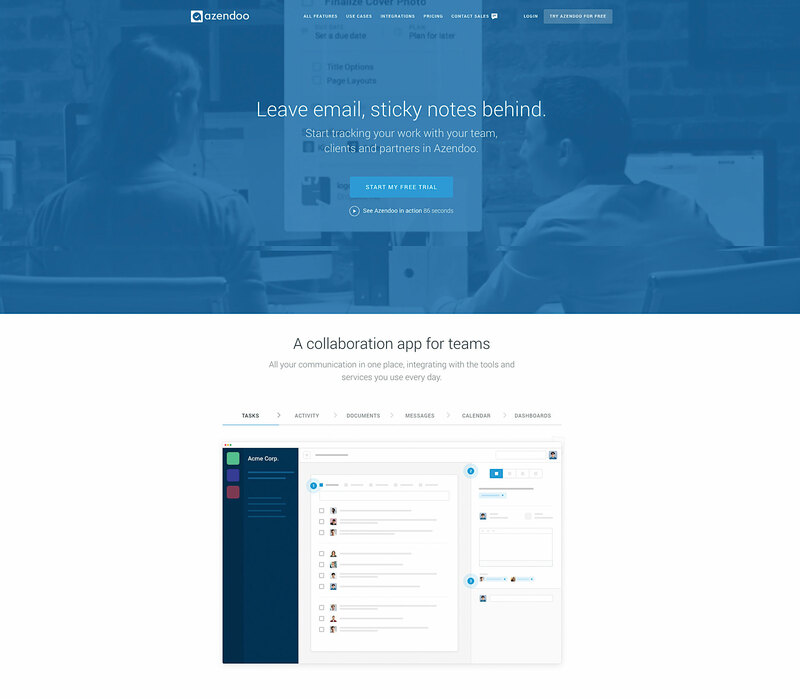 At its core, Flow lets you create workspaces and tasks so you can keep on top of your projects. 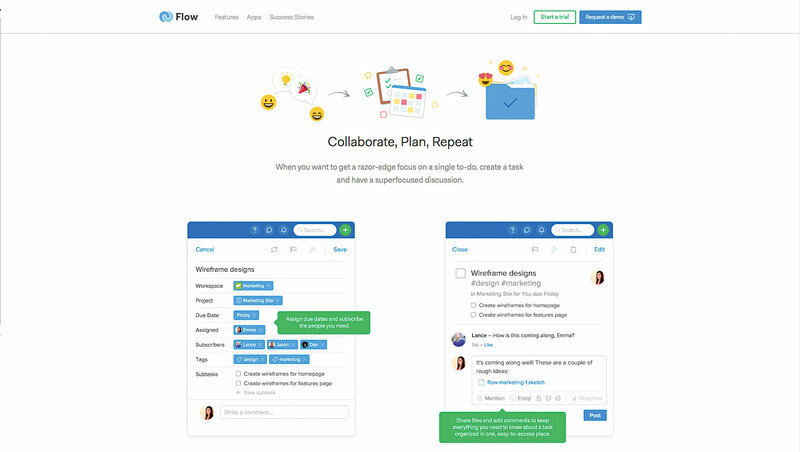 Like many workflow tools, Flow lets you collaborate with team members through task assignment and in-built chat. I tried using the chat feature with my developer and it worked fine, but there’s nothing quite as smooth as Slack. There’s also a ‘focus mode’ that turns off notifications temporarily and lets your team know when you’ll next be available. Users create a selection of tasks to be completed, which are then organised into projects. Not all tasks can be seen by the whole team; Flow lets you create private tasks that you can share with your team members later. This is helpful if you have something you’d like to work on privately before sharing it with others. The calendar view gives you a nice overview of what’s coming up soon, and you can filter to see just your own tasks or everyone’s. And if you find yourself with a bit of free time on your hands you can navigate to the ‘unassigned’ section. Here, you’ll see all the unassigned tasks ready to be picked up. 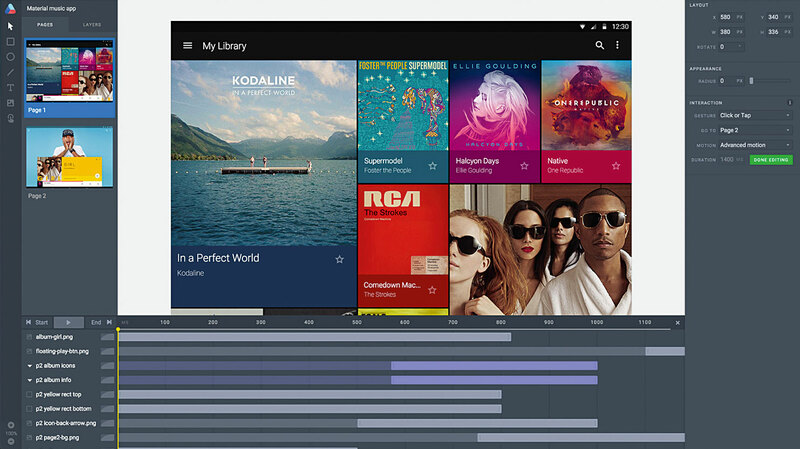 Azendoo is a powerful workflow tool with a beautiful design and user experience. View analytics, attach documents, and group and organise your tasks into subjects. The whole experience has been thought through; you can filter on tasks, see a calendar overview, create repeating tasks, set due dates and add checklists. You can also broadcast messages, send direct messages to team members (if you have any) and view notifications. A great tool for keeping you on top of things. There’s more to freelancing than just finance, time management and proposals; sometimes freelance life can throw up more unexpected challenges. I’ve rounded up three bonus tools to help you boost your creativity, get paid on time (without the stress) and prototype your ideas quickly and easily. Stuck in a situation where the client isn’t paying? Julie Elster offers to work as your accounts receivable virtual assistant to help retrieve absent payments; she works by calling your client on the phone and being ‘thermonuclear nice’. She has a proven track record, and is highly rated within the freelance industry. Briefbox is a collection of hypothetical briefs to help keep your creative juices flowing when you’re between projects. The team at Briefbox write a range of imaginative briefs – everything from designing local currency to creating branding for a painter – you just need to pick one and get designing. Once you’re done, you can upload your work to the site and get feedback from the community. The team has just launched its Pro accounts. These offer tips from trade professionals, and constructive criticism on every submission. Create and share prototypes with your client with Atomic, the fastest way to design beautiful interactions. Import an existing design from Sketch or Photoshop (or design in the tool itself), then link the pages together and fine-tune the transitions to create your prototype. Once finished, you can easily share your prototype with the client by sending them a link. The client can then add any comments or feedback on your design. Full disclosure: Femke van Schoonhoven works in marketing and design for Atomic. That’s it! This is by no means an exhaustive list. There are hundreds of new freelancing tools popping up every year, so I encourage you to keep an eye out and see what’s improving over time. Remember, when it comes to freelancing there’s no one-size-fits-all. Each tool has its own strengths and feature set so it might take some time before you find the best ones for your toolkit. This entry was posted in Design Tips, Fun Stuff, Print News, Tips & Tricks on December 22, 2016 by Shawn Nag.